The less-is-more design is not only incredibly popular at the moment but it is also easier on your wallet; as more decorative styles require more expenditures on ornaments and accessories. Minimalistic interior designs are based on neutral colours and the clearance of any clutter. Adopt a quality over quantity mindset and keep it simple; invest in storage space that obeys the minimalistic fashion to hide and prevent the potential ‘chaos’ that may appear on any surface and save space. For an added touch, you may opt to include simple, yet, classy black and white photographs or fine art print, which do not overpower the room. Mirrors have the magical ability to brighten a room by capturing and reflecting flashes of light. However, be mindful of the common mistake of placing a mirror right across a window to seize the daylight, as this will lead to the light bouncing right out of the window again. In addition, mirrors can also expand your space. 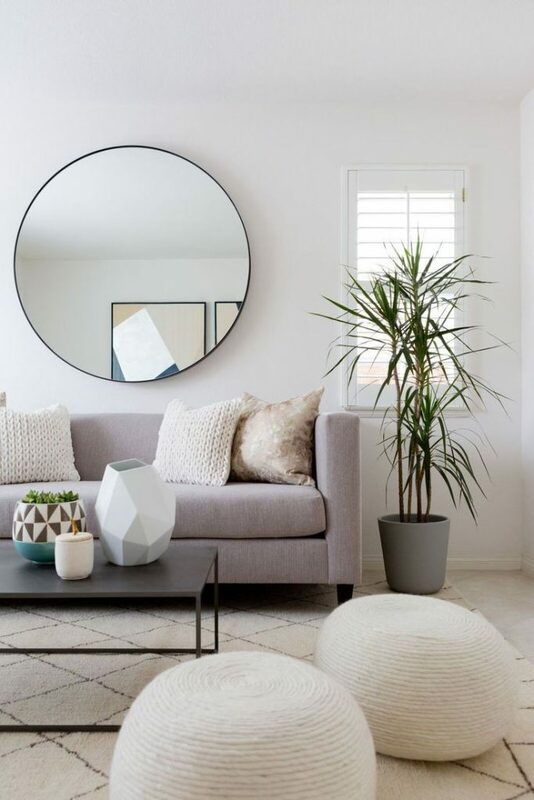 There are no rules on how to decorate a room with mirrors; so, creativity may take its full course. Add a personal touch with your favourite art pieces. The essential rule is that the center of any picture, poster, canvas and such; should be hung at eye level. Also, the overall scale of the wall needs to be considered. Large empty wall? 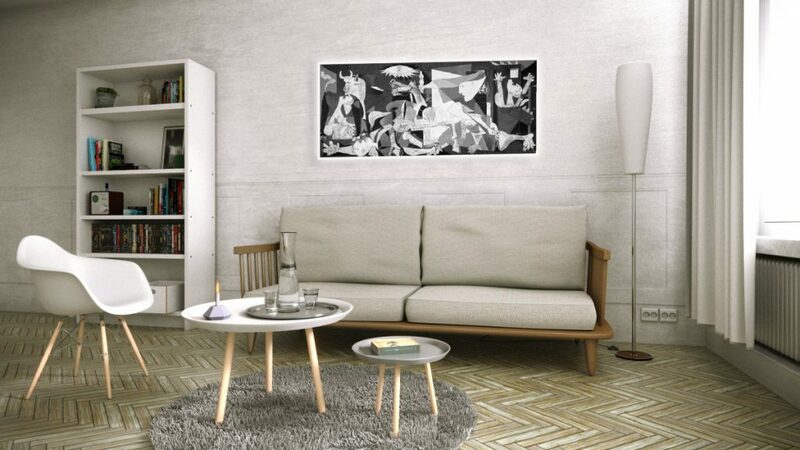 – utilize oversized pieces or group a collection of smaller pieces to create a gallery-like look. Click here for more tips and tricks on how to decorate your wall with artwork. Rugs help creating comfy spaces, separate nooks and define areas in a room. This way, one room may receive multiple personalities in the form of zones; such as dining or seating areas. 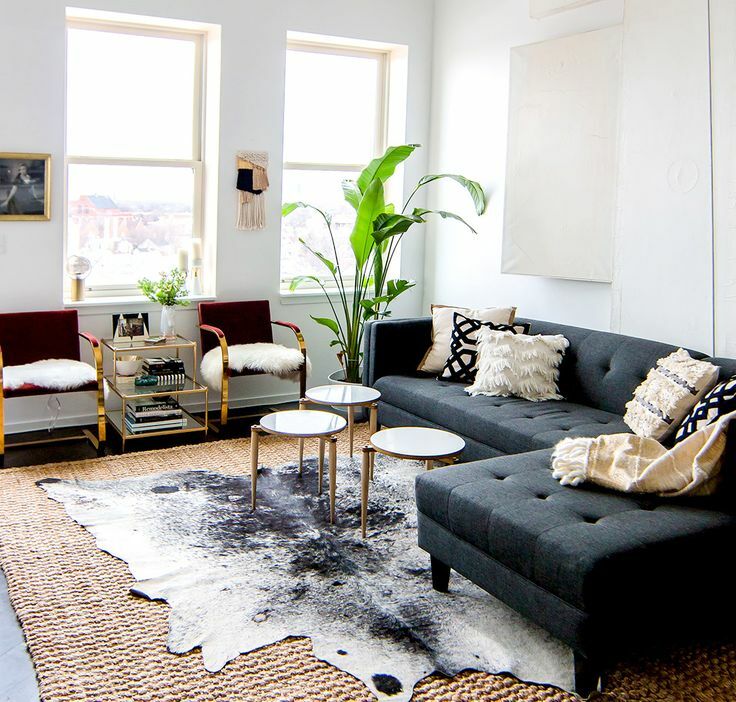 A rug may be the basis of your color scheme or even add a pop of color to a living space. However, a rug does not have to be limited as a floor ornament, spice things up and hang it on the wall to create an even warmer atmosphere. Never underestimate the power of curtains. 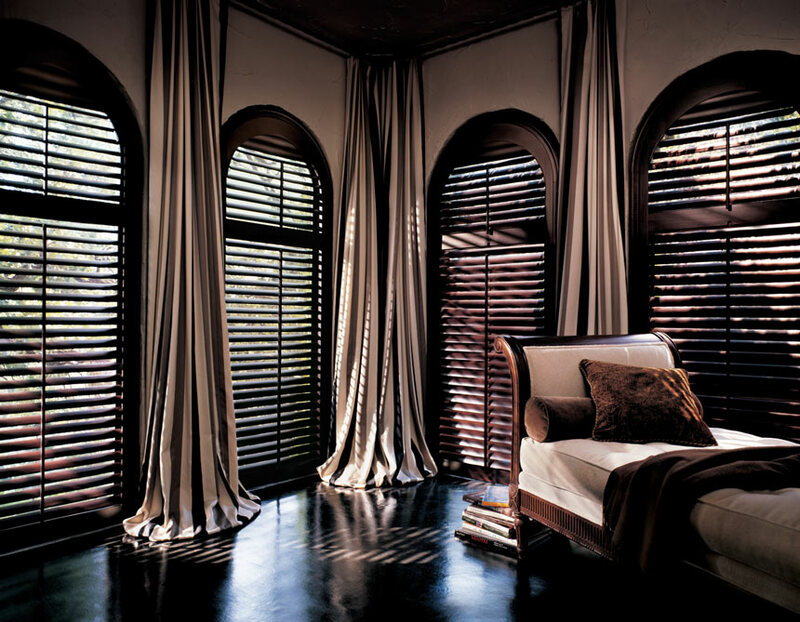 Dramatize a room with large luxurious-looking curtains in darker colours. This will also establish a cosier touch to the interior. Curtains may also manipulate the mind into thinking that the ceiling is higher than it actually is. Hang curtains way above the windows and add vertical stripes to enhance the effect; thus, minimalize claustrophobic feelings. 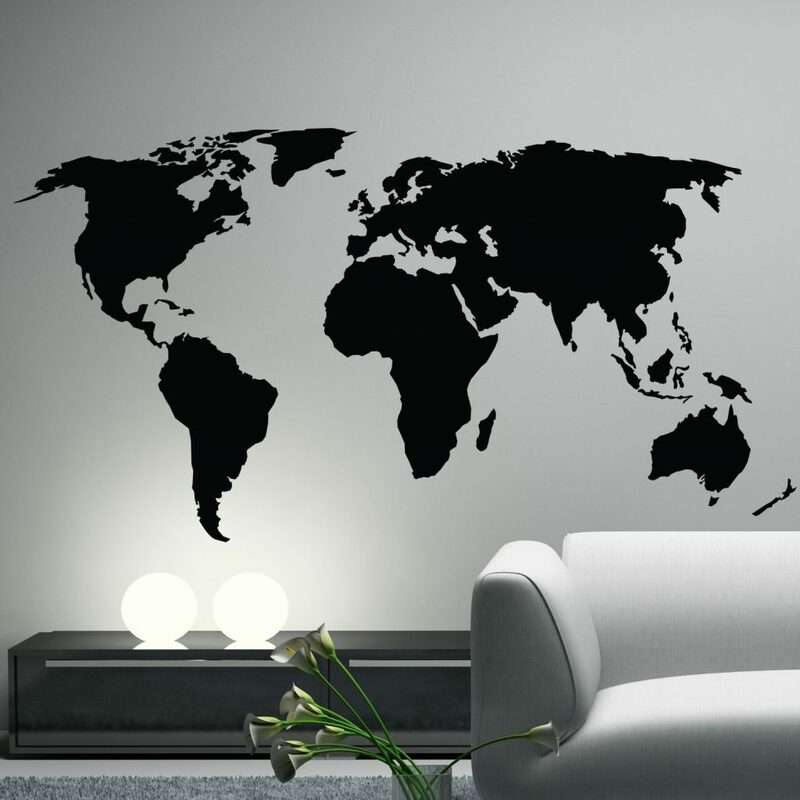 Wall stickers area way of personalizing your interior design; especially, kids and teen rooms benefit greatly from them. Different shapes, sizes, motifs, mottos and colours provide enough variety to add a unique flair to a room. This décor choice may also be a statement piece, utilizing mottos such as Eat, Pray, Love in distinctive fonts; and basically, visualizing one’s personality. Paint a wall in a bold – statement color. Paint is the decorator’s secret and most inexpensive weapon when it comes to renovating and vitalizing a room. However, repainting an entire room may exceed the budget or there is no good time and place to do so. Hence, an accent wall is the most cost-effective method. Instead of using paint, you may also just utilize wallpaper in a certain color, pattern or photo to add the desired touch. Macramé is the art of knotting patterns, creating a woven piece of decoration which was incredibly popular in the ‘70s. 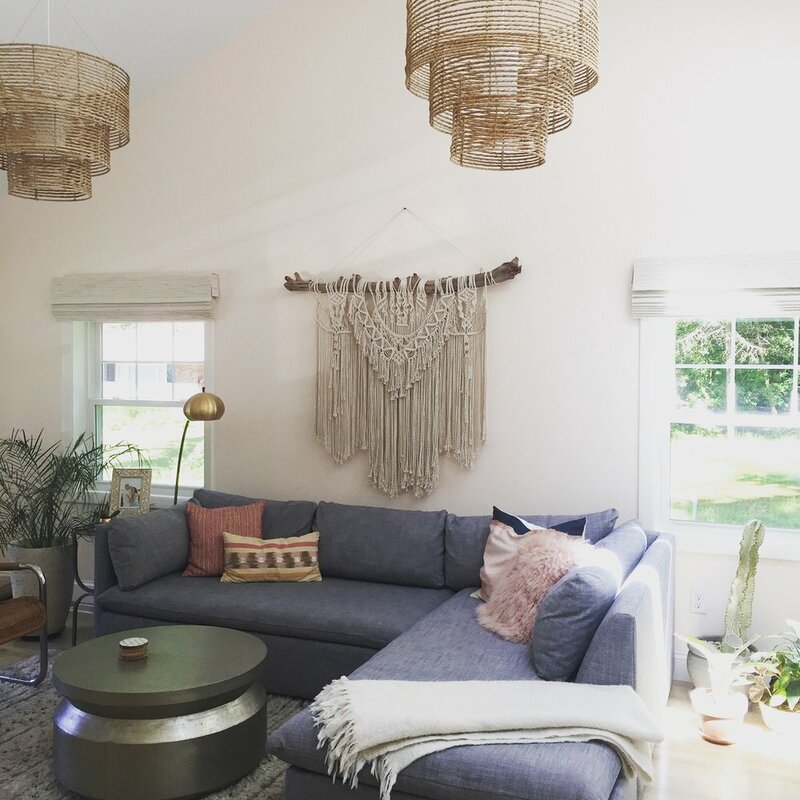 Adding this interesting element to your space is a unique and gorgeous way of giving your living space a bohemian vibe and warm up the atmosphere. You may purchase this through various online platforms, or you may even produce one yourself. The creation of macramé art is said to be extraordinarily relaxing and therapeutic.